How Does it Work? What are the Pros and Cons? Nobody enjoys talking about the fact that some day we will die. However, not only is this a guaranteed outcome someday, but sometimes this can happen unexpectedly at a time that is much sooner than anyone ever anticipated. So given the fact that death is inevitable, we hope everyone agrees that you simply cannot overlook or ignore this all-important piece of your overall financial planning process. 1. What you want your funeral service and/or memorial service to be like? 2. Where you would like your funeral service and/or memorial service to be held? 4. Does anyone know whether you prefer a burial or cremations? Is this documented anywhere? 5. Exactly where would you like your remains to be placed as a memorial? 6. Would your family know how to choose from the various merchandise, services, and new memorial technology tools and options? 7. 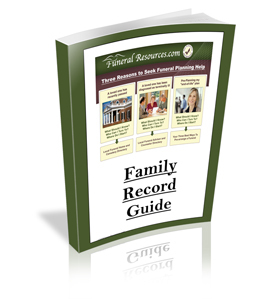 Have you considered plans to prepay funeral expenses? If not, how will your family pay for these funeral expenses? 8. Have you completed your comprehensive estate planning process? If so, has your Final Expense Plan been coordinated to integrate with this Estate Plan? With a Final Expense Plan, you can select the amount of insurance, regardless of the price of your end of life planning needs. The Final Expense Insurance policy does not guarantee the price of the funeral costs, but rather a fixed amount of proceeds. When creating a Final Expense Plan, you have the flexibility to choose your beneficiary to be the Funeral Home, Cemetery, or your heirs… or any combination. If you choose a Funeral Home or Cemetery as your beneficiary, any excess funds are passed on to your heirs or estate. With a Final Expense Plan, if you have chosen the Funeral Home or Cemetery as your beneficiary, your family or heirs can use any excess funds for whatever they deem necessary, such as paying for outstanding debts like credit cards, your mortgage, hospital bills due, or any other use of the funds they feel is appropriate. If you choose your family or loved ones to be the beneficiary of a policy such as burial insurance, they have the right to decide whether to carry out the funeral plan you created – or not. Since the amount of insurance is usually a fixed amount, it may not be enough to fully cover the total costs of your funeral costs and/or the costs related to the settlement of your estate. Getting Started is Easy – and Important! Hopefully you have already taken some steps towards funeral planning by creating your final plans and preferences, and also considered prepaying your funeral expenses. If not, we strongly suggest you take the first step and click on this link: Four Key End of Life Plan Guides. Also, you can request any Final Expense Plan information, including all the details and FREE quotes, through our Final Expense Specialists. These Specialists can be insurance companies, their agents, and also Funeral Directors that have obtained the appropriate insurance licenses from their state.